Viroqua Food Coop, Viroqua WI,September 2013 and June 2016. Solo show, acrylics on canvas. Winding Roads Studio Tour, Viroqua WI, May 2016 and 2017, J&P studio in a local artists studio tour. Driftless Café, Viroqua WI, April 2013, 2014, 2016, 2017. Solo shows, acrylics on canvas. The Art of Autism. 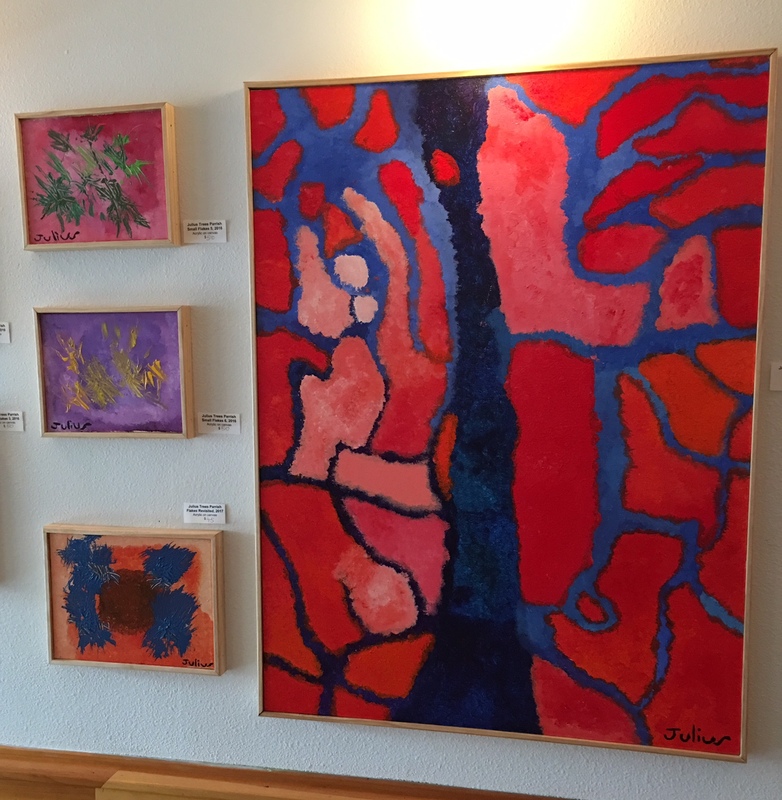 Art Ark Viroqua, April 2015. Solo show, acrylics on canvas, presentation on the theme of Sunsets. Pump House, LaCrosse WI, March 2014 and 2015. a participating artist in a group show, acrylics on canvas. Healing Arts Center, Viroqua WI, October through December 2016, a solo show of acrylics on canvas. VSA Wisconsin, Madison, a participating artist in a group show, 2015, 2016 (winner of the Young Adult Purchase Award) and 2017. Art Fair on the Square, Madison, a participating artist at the VSA Wisconsin booth 2016 and 2017. NAMI Wisconsin, Madison, a participating artist in an Annual Healing Art Show, September through November,2016 and 2017. The Uptown Cafe, La Crosse WI, August through September 2017, a solo show of acrylics on canvas. © 2019 Julius Trees Parrish. All Rights Reserved.